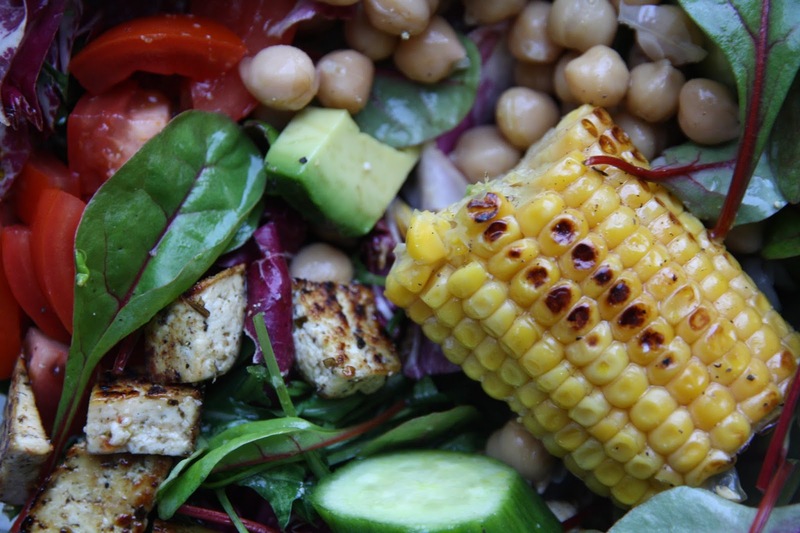 This weeks recipe is simple, quick and perfect for any or your summer barbecues. I recently went to a friends birthday grill picknick and I was the only vegan. There were two vegetarian girls who popped a soy steak on the bbq, but I personally don't enjoy the fake meat because often it reminds me too much of the real thing and it just doesn't sit well in my stomach. My favourite part of barbecues were always the salads and sides. My personal favourite: Corn on the cob. There is nothing that makes me feel more like summer than a good old corn cob. 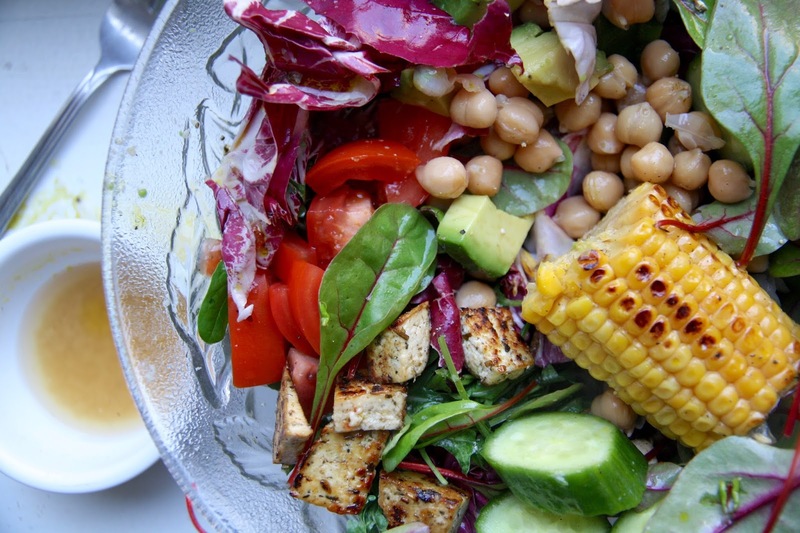 In this salad I combined it with some grilled tofu and some fresh crispy veg. You can just pack all the ingredients in containers and serve them at whatever location you choose for your picknick, or even just have it at home as I did. Barbecue does NOT mean meat. Lets get cooking. 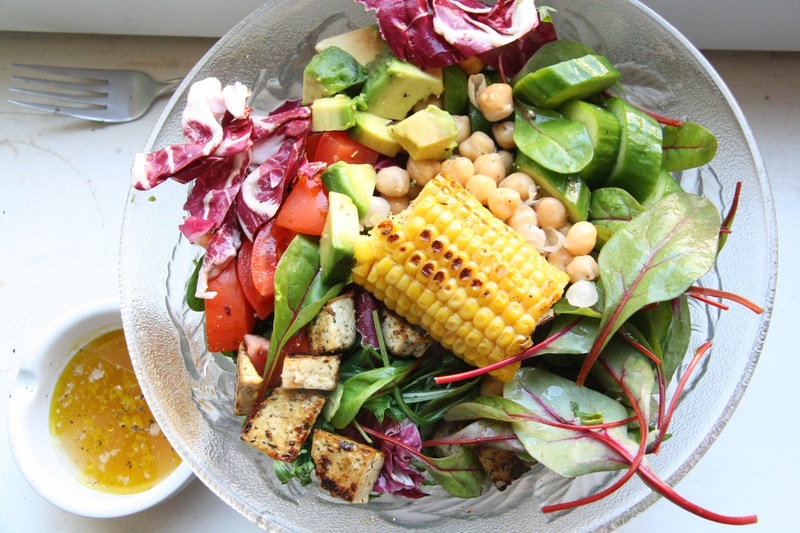 Chop up all the fresh ingredients and divide them onto two plates or bowls. 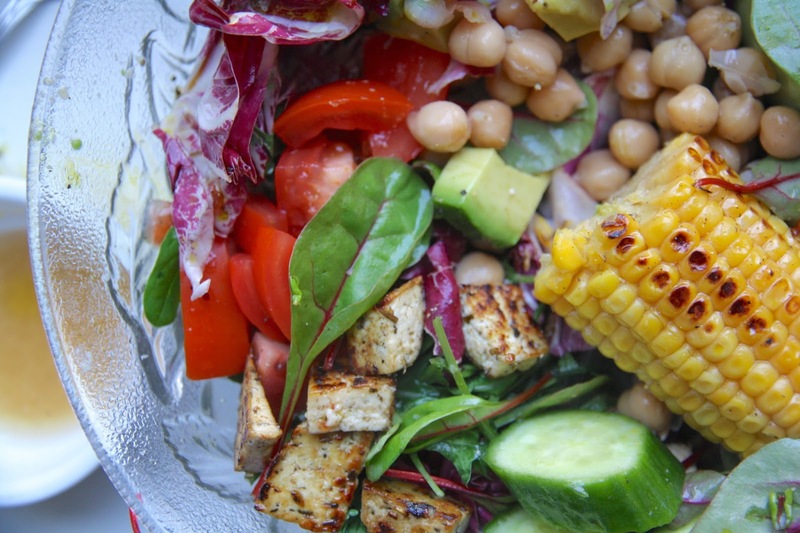 Grill the corn in a pan or on a grill, and dice the tofu and fry it in a pan. Mix the dressing and add to taste.